Jewish convert to Christianity; grandson of Elijah Levita; lived in Italy in the sixteenth century; became priest and canon. Well versed in Hebrew literature, he was appointed censor of Hebrew books, first at Cremona, afterward (1567) at Venice. In this capacity he permitted (1557) the publication of the Zohar, and edited (1558) the Ṭur. 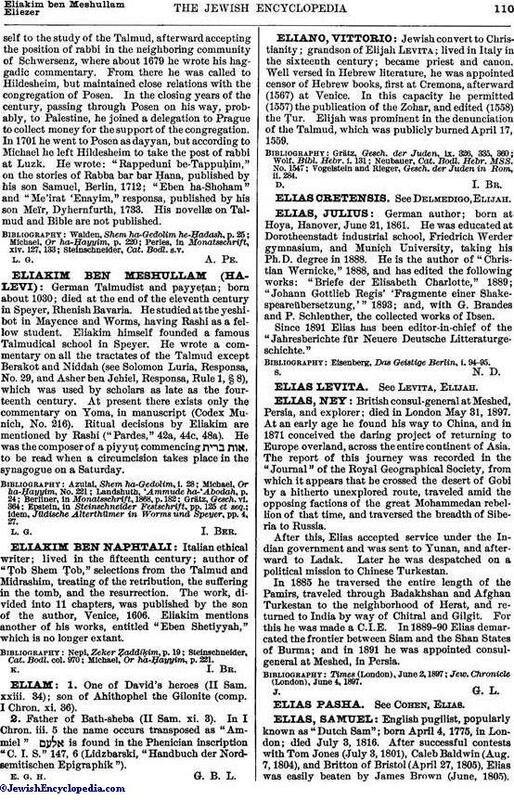 Elijah was prominent in the denunciation of the Talmud, which was publicly burned April 17, 1559. Vogelstein and Rieger, Gesch. der Juden in Rom, ii. 284.